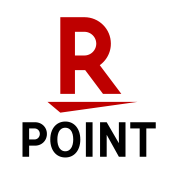 Do You Want To Create Rich, Three-Dimensional Characters? These 1,000 Hand-Picked Ideas Are Just What You Need. From the author of 1,000 Creative Writing Prompts, this 150,000+ word reference tool can serve writers who need characters and need them now! If character development is your problem, this detailed reference tool for any writer is the solution. Imagine if every time you sat down to brainstorm for your stories, scripts and more, you had a notebook full of character ideas ready to spring to life on the page. This time-saving, idea-generating tome can ensure that from protagonist to checkout girl, your characters are fully developed and captivating. 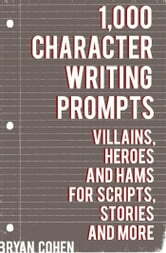 Covering a variety of genres, time periods and styles, 1,000 Character Writing Prompts, adds nuance and depth to the typical character stereotypes many writers rely on. Rebels, ninjas, actors, villains, pets, babies and many more! 1. Author Bryan Cohen is an Amazon #1 best-selling author for the Writing Skills category. 2. Cohen's writing prompts books have over 50 five-star reviews. 3. 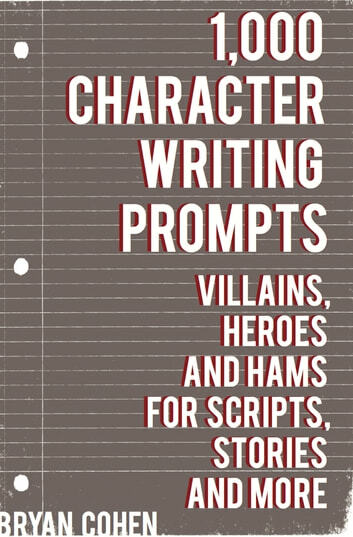 This book contains 1,000 new prompts to help you make characters that stand the test of time. Each of the 1,000 character ideas ends with a question or command to push you past your writer's block and into a creative flow state for your future writing sessions. Make your book the best it can be. Scroll up and buy this book today!